Twice in two years makes my attendance at the annual Special Releases tasting with Colin Dunn at The Whisky Exchange a tradition! Last year was definitely a stand out tasting for me and so I was really looking forward to this. 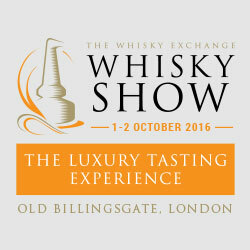 Apart from the launch (I’m not cool enough to attend this) last year, this is (I think) the only SR tasting held, and involves the usual telephonic Olympics trying to get through to the whisky exchange to book tickets. I’m averaging about 100 attempts and 30 minutes to get through to secure tickets these days… I might start camping outside Vinopolis. The whiskies were, as before, quite an eye opener. We had eight – including the Caol Ila 15 and the Lagavulin, both of which I have open bottles of at home, so I took cursory notes last night to log what they were like in the context of the others – actually they stood up pretty well! There was no Caol Ila 30, which I was very sorry to hear, although I’ve made up for it by buying one from Cadenheads! Stand outs for me were, predictably, the Port Ellen and the Brora. The PE is almost supernatural, and has the dusty sweets thing going on that very old Bowmore has. But everything else is there and the whole thing is a wonderfully drinkable experience. But the Brora, while not quite as flabbergasting in the context of the tasting last night, I think is the one I’d most like to live with an open bottle of. Some malts seem to reach in through your sinuses and grab you by the cerebral cortex, and this is one. In terms of actually using money to become the owner of one of these, the Caol Ila 15 and Laga are worth the money. Nothing else solves for me though – I would love a bottle of the Brora but can’t justify £1200 for any single bottle of whisky. The Benrinnes is close, but not quite perfect enough for me to spend £230 on. 2964 bottles. Causes a lot of controversy due to the fact that it’s a NAS whisky retailing for £500. Nose - Intense, sweetshop nose at first, then a lovely, expressive waxed wood. Bannister, cherry, dusty rose a little cigar, a little balsa wood. A fabulous nose. Body - Sweet, quite spicy, very fresh, fruity and bright. Almost peaty, quite sharp. Water evens it out. Finish - Medium, quite weirdly lacking in mid-range. What's not good about it - Sour, wine nose and peat spice is a bit upsetting. Definitely not worth £500 (I don't really care about the NAS thing). What's good about it - Sweet shop nose is beautiful and takes water well on the nose. Fantastic nose. 3756 bottles. The first appearance of Glendullan in the Special Releases and the oldest expression this year. Nose - wow…. Intense dark fruit, wax and mineral notes, candy canes. Extraordinarily balanced and intense. Incredible nose - I could spend all day with this. With water, more musky and bright curry spice, white flowers and lots of oils. An amazing, balanced and intense nose full of wood and wood oils. Body – Intense spice, hot wax and polished wood, and quite bitter actually. With water, more musky, woody and quite challenging. Lots of orange juice. Finish - Very long, oily and balanced. Even longer with water, intense wood oils. What's not good about it - The spice is challenging, and overpriced sadly. What's good about it - Just an incredible nose. Intense and oily wood. Nose - Sweet, gentle, elegant light toffee, gentle wood. Fresh rose petals, light orange zest. Very fresh overall. More gentle waxy wood with water. Body - Sweet wood, leather and toffee, orange zest, orange oils. Finish - Long and intense orange oil, spicy but balanced and even. What's not good about it - A bit restrained at first. But with time it really opens up and makes sense. What's good about it - Lovely, complex and elegant nose. With water, fantastic balance and integrity throughout. Nose - Bright apples and boiled sweets, leather shoes and light peat. A lovely floral edge - some air freshener. Body - Massive spirit hit, good wood and liquorice torpedoes. With water, much juicier and more wood. Delicious. Finish - Medium to long, juicy, loads of great wood. What's not good about it - A bit sharp? Or just in expensive company. What's good about it - Good musky wood and citrus notes. Nose - Dark, dirty musk, lots of sulphur and banana. Filthy. Bright, red cherry. Actually, very exciting - intense fruit and oils. Body - Exciting, sulphured but sultry, balanced. Finish - Long, very red. Lovely, intense and elegant. What's not good about it - Nothing except… perhaps a bit weak with water. What's good about it - Epic nose, amazing sulphur and fruit. This almost solved the whisky/money equation for me past £200 but… not quite. Nose - Intensely elegant, dusty sweets. Medicinal - hospitals, literally. Light parmas, boiled sweets. Very special. Body - Light, unreal, alien dusty sweets. Almost too weird, but totally right. Finish - Very long - long and dirty spice. No hint of peat. Juicy, fresh, dusty orange zest and full of oils. What's good about it - Intense but ancient wood and wax, parmas. Such balance, spice and intensity. Truly epic. For a cut price impression of what this kind of whisky is like, I recommend checking out the recent old Society Bowmores, like this 26 year old. It’ll give you some of the same dusty sweets and epic structure that this Port Ellen has for a tenth of the price. Nose - Deep but quite light. Juicy toffee and lumps of oak. Ripe orange, structured, very elegant with sweat and leather. Body - Bright, juicy, dusty parmas. Sherbet and light sulphur. Finish - Spicy. Then very balanced and very long. Very buttery, very oily. Seriously lovely. What's good about it - Incredibly moreish. Haunting. Nose - Sweet, sour, dirty but restrained. Vanilla and almonds and inner tubes. Body - Sweet, dusty, ozone and wood. Finish - Very long, blue cheese. A cracker!